Kemar Roofe struck in the fifth minute of stoppage time to complete a dramatic comeback and send Leeds back to the top of the Championship with a 3-2 win at Aston Villa on Sunday. Roofe’s goal crowned a second-half fightback from two goals down by the visitors, who moved a point ahead of Norwich at the top of the table. The hosts should even have added to their lead in the first half, but were stunned in the second as quick-fire goals from Jack Clarke and Pontus Jansson brought Leeds level before Roofe’s slick finish at the death sealed a thrilling victory. 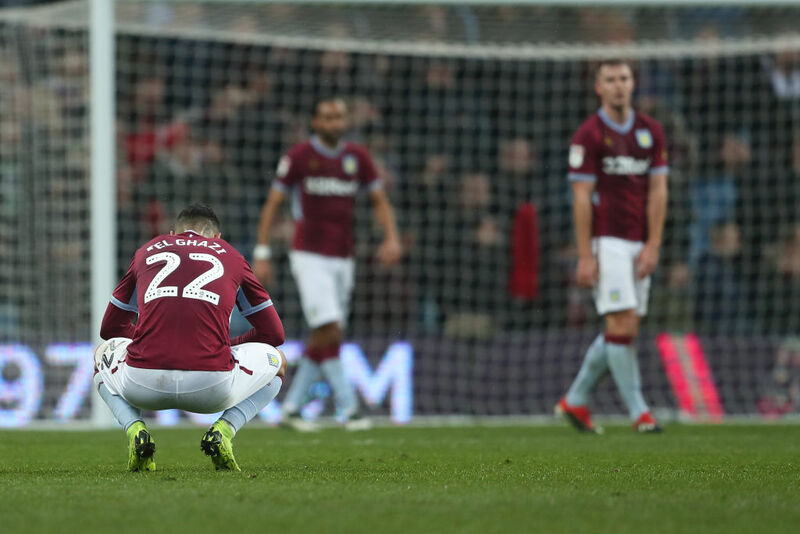 Marcelo Bielsa’s league leaders had only conceded one goal in winning their previous five games, but were soon on the back foot at Villa Park. Ahmed Elmohamady backed off from making a tackle, allowing Clarke to work his way across Villa’s defence before setting himself and rifling a shot past Nyland from about 12 yards. Suddenly Leeds were lifted and Villa’s suspect defence was again exposed when Jansson rose to head home a left-wing corner from Pablo Hernandez in the 61st minute.